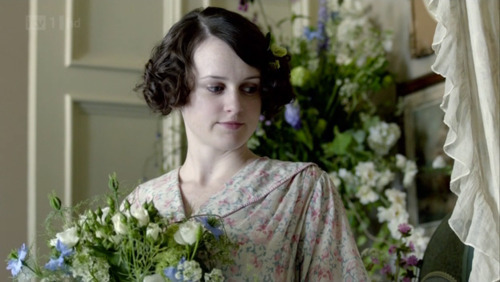 I have been a fan of Downton Abbey since season one and it sure is interesting to see how popular the show has become. Although I live in the US, I find it difficult to wait for the US showing on PBS, so I watch it as it airs in the UK. I have been wanting to share these beautiful gowns since I saw them, but figured I should wait until the show finished airing here in the US so that I wouldn’t show any spoilers! 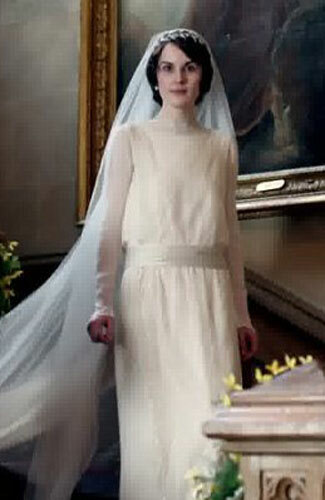 First off is Lady Mary Crawley’s wedding dress from her marriage to Matthew Crawley. 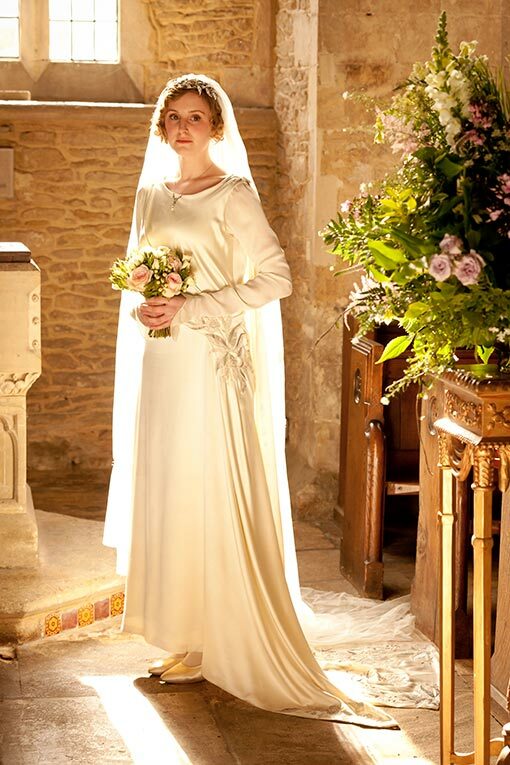 Lady Mary wore a very simple 1920s dropped waist wedding gown with a long train and cathedral length veil and carried a sheaf of calla lilies. 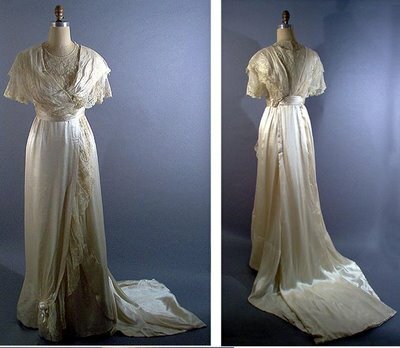 Lady Edith’s ill-fated nuptials to Sir Anthony Strallan featured my favorite gown of all pictured here. 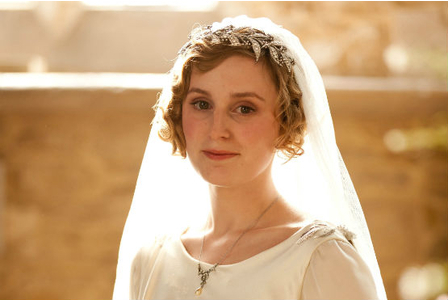 Lady Edith’s gown is also simple, but has an abundance of floral embroidery and is adorned with flowers and crystals with a sweeping train and veil. This episode certainly had me in tears. 😦 How horrible to be gilted at the alter. And at least the three sisters were able to be together in a last photo with everyone looking happy. 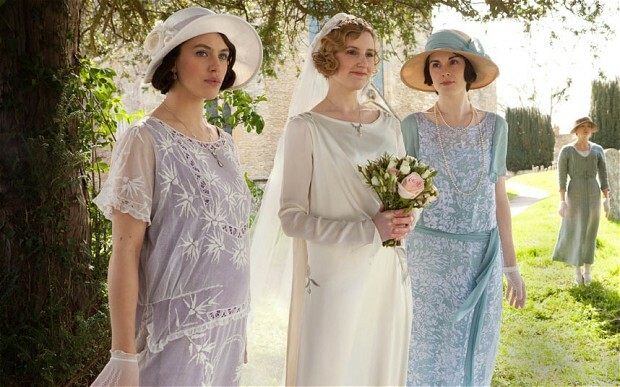 And let us not forget the Downton beauties downstairs….. Kitchen maid Daisy Robinson and William Mason married on William’s deathbed following his injuries while fighting in the Great War. It was nice to see Daisy with a nice dress and her hair done, although it was for such a bittersweet event. 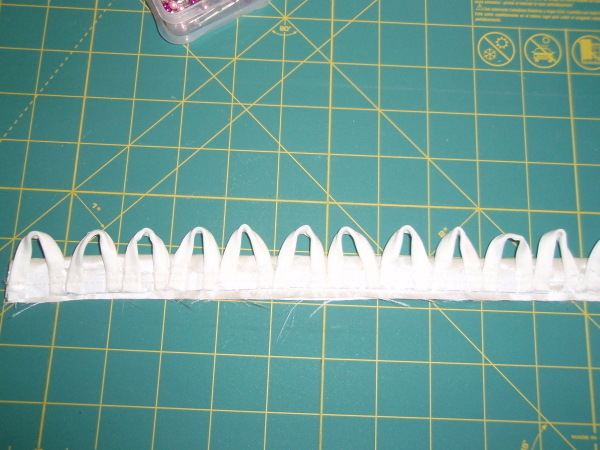 It’s difficult to tell in these photos (hard to find pictures online! 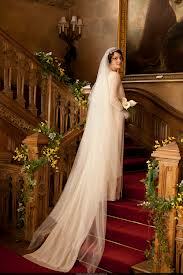 ), but her dress is a simple yet pretty floral gown and with her hair looking so stylish, she looks like a country bride. And then there is the only couple whom is still together and happy out of this group …. 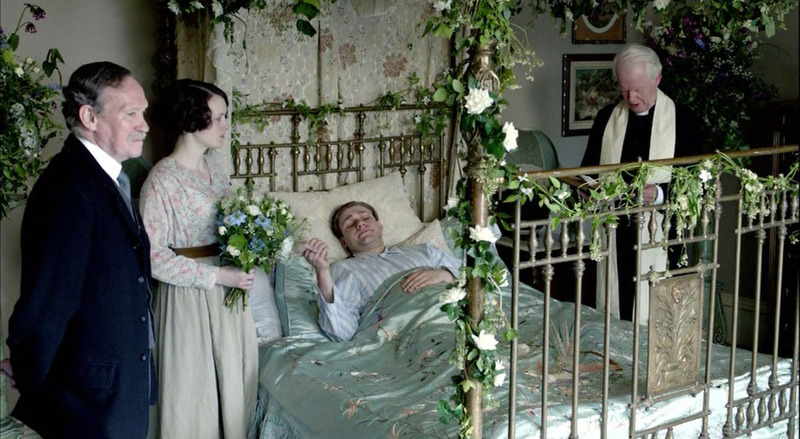 How lovely was it when housemaid Anna Smith wed valet John Bates? 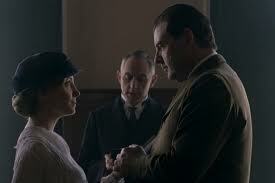 Even if, just for a moment, there was happiness before a long hard journey thanks to Mr. Bates’ ex-wife…. Although they are not in wedding formal, they are a stunning couple, aren’t they? 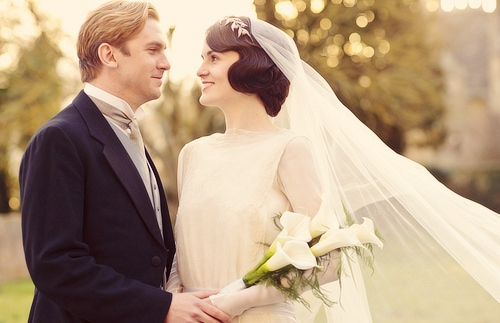 And thankfully, they are still together an living happily when season three came to an end….. 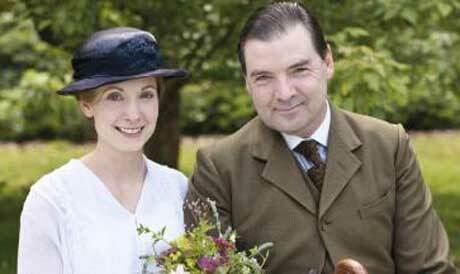 I, for one, am looking forward to more Downton Abbey weddings and above all, hoping for some much needed HAPPINESS! It seems that no one ever gets to stay happy on DA…..